Racist harassment at the hands of Italian fans exposes football's continued racism problem. This past Wednesday, Lazio fans jeered the 24-year-old French born Senegalese defender Kalidou Koulibaly of the team Napoli with racist insults, prompting officials to suspend the game for three minutes. 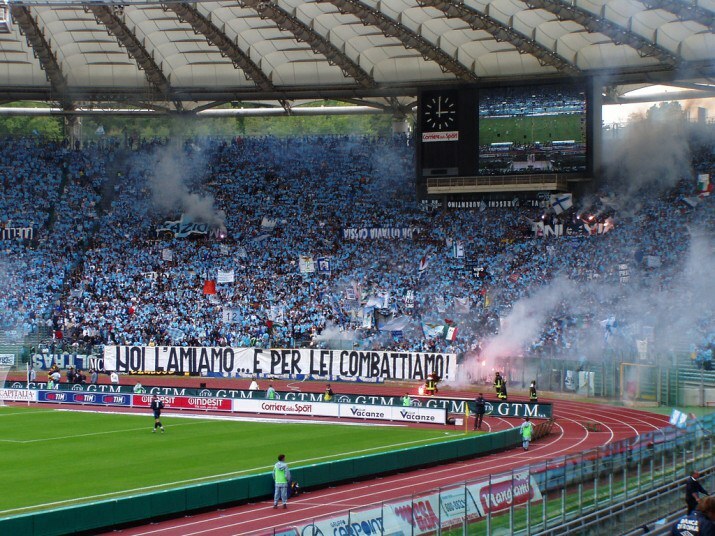 Lazio was later fined 50,000 Euros for the chants and the closure of the Curva Nord for two games. At the club’s training center, Napoli fans expressed support for Koulibaly, hanging a banner that read: "Be proud of your color Koulibaly. You're a true warrior." Greek players stage a sit-down to protest the handling of the migrant crisis. The incident at the Lazio vs. Napoli game is nothing new. Italian Football has been stage to unrelenting racism, usually directed at African players, and almost always evoking a pathetically tired monkey comparison. Despite the comments Tavecchio was elected to be the president of the Italian Football Federation receiving only a light slap on the wrist for his remarks, which included a six-month ban from the Union of European Football Associations. On the field, players like the Ghanaian Kevin-Prince Boateng, and his teammates walked away from a game in January of 2013, when Pro Patria fans imitated monkeys whenever Boateng had possession of the ball. The racism isn’t confined to football. Italy’s first black cabinet minister, Cecile Kyenge, has had bananas hurled at her and been called an orangutan by Roberto Calderoli, a former Italian senator. Wednesday's game ended with Koulibaly’s team Napoli winning the game two to zero.